Little Nightmares opens on a shot of a slender woman facing away. As she turns to face the camera, a blinding light drowns her out, and You, as the little girl named Six, awaken in a strange and terrible place. 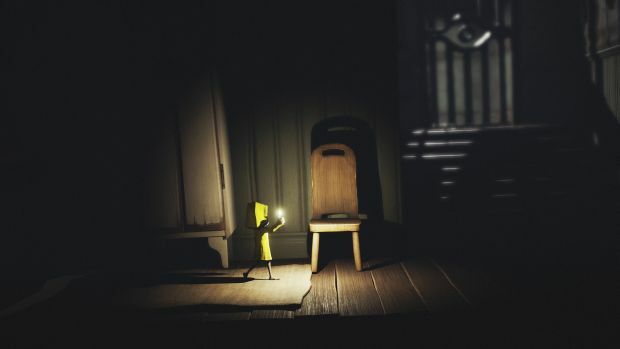 Wandering the damp, disheveled halls of The Maw with only a bright yellow rain coat and a lighter, Little Nightmares makes it immediately apparent that you are alone and powerless. As you navigate the Maw’s deep underbelly, black, oily slugs seek to strangle you, and long armed men will pry you from your desperate hiding places. In order to escape that waking nightmare that is The Maw, Six must jump, climb, run and throw her way through the puzzle filled ship. Entering and exiting every room in this game involves figuring out how to scale heights that Six’s little arms can’t reach, or to navigate a patrolled area and find the key to a door that will allow her to escape. The puzzles in Little Nightmares are sometimes difficult to discern, but they were never outright impossible. Even at their most opaque, the puzzles in Little Nightmares invite exploration and genuine wonder rather than eliciting frustration. Upon solving each room, I felt real joy at having insight into a new problem. Furthermore, while the puzzles in Little Nightmares are interesting enough to stand on their own merits, a layer of tension lies beneath each one, with the ever present threat of the game’s monstrous villains on patrol and ready to uncover you at any moment. "The enemies are one of many perfectly tuned aspects of Little Nightmares. They evoke a strangeness and bodily horror that speaks to The Maw as a setting, while remaining grounded enough to feel real and threatening." In fact, many of the game’s puzzles incorporate these enemies, requiring that you distract them with a broken pot while you frantically grab a key and fit it into a massive lock, or that you call an elevator that will have an enemy on it, which you’ll then have to sneak past. These puzzles are made even more difficult when enemies team up on you; reaching for you with meaty arms from both sides of the table you’ve taken cover under. The enemies are one of many perfectly tuned aspects of Little Nightmares. They evoke a strangeness and bodily horror that speaks to The Maw as a setting, while remaining grounded enough to feel real and threatening. The story’s most terrifying villain is definitely the woman who the game’s opening shot depicts, and she’s the most normal thing in the game. 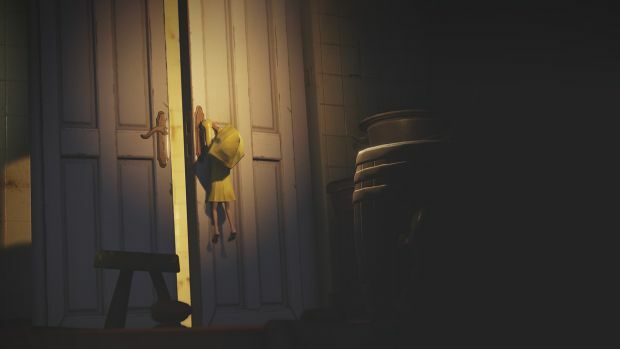 For the most part, Little Nightmares embraces the uncanny, depicting a world just close enough to be our own, and just off kilter enough to be truly terrifying. Each level is based upon an aspect of The Maw, such as “The Prison”, or “The Kitchen,” and the thematic shifts that occur throughout the game help each level to feel unique, while carefully crafting a complete experience that unifies the diverse aspects of the world. 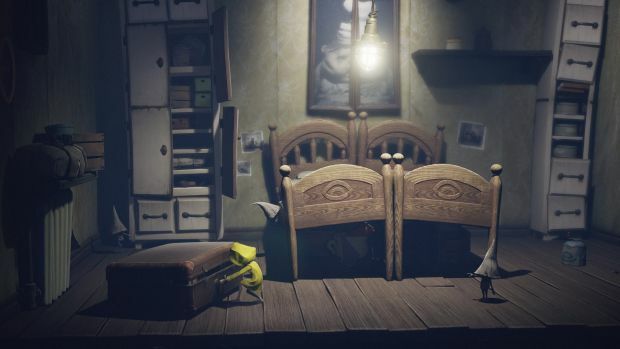 Little Nightmares strikes a delicate balance between genres. It’s a puzzle platformer that crosses into horror survival, while at the same time it uses a cartoonish art style to depict absolutely horrifying events and characters. The synthesis of all these things makes it a unique and fascinating game, that is a joy not only to play but also to simply take in. Every room is filled with details that convey a depth to a world only passed through by Six. 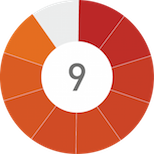 Elements of game design are also undertaken with a playful creativity. After death, Six awakens at the last checkpoint, as though falling to her doom or being strangled by slugs were merely a bad dream. In one puzzle, I’m pretty sure the designers actually intend for you to die. The checkpoint advanced only after I’d jumped to my death. "When Little Nightmares fails, it does so in small ways. My largest complaint is the truly horrific loading screens. Death is a minute-to-minute occurrence in Little Nightmares. Upon death, players should be ready to wait a good thirty seconds to a minute while the game resets." Little Nightmares is filled with the unexpected, and its approach to level and enemy design, as well as artistic style, makes it a fascinating game to explore. When Little Nightmares fails, it does so in small ways. My largest complaint is the truly horrific loading screens. Death is a minute-to-minute occurrence in Little Nightmares. Upon death, players should be ready to wait a good thirty seconds to a minute while the game resets. In the more accommodating sections of the game this issue isn’t noticeable, but as the puzzles grow more complex and failure becomes more frequent, it can add real pain to your play through. In one particularly frustrating section of the game, this meant spending a sizable portion of my time waiting for the game to load, before being eaten once more almost immediately. Little Nighmares also suffers from a relatively imprecise control scheme. It isn’t a purely two dimensional game, meaning that you do, at times, need to move Six forwards and backwards, but depth of field is extremely difficult to gauge in Little Nightmares, and the more forward-and-backward came into the game, the more unpleasant it got. This forward-and-backward conundrum also came into play quite frequently crossing narrow spans, and I walked straight off beams several times because I didn’t know what dimensions I was moving in. "The game’s puzzles are fascinating to unravel, and the ending is one of the most cathartic, wondrous conclusions that I have ever played." This difficulty came to a head at a particular point in the game, and while I won’t spoil it, I can assure you you’ll know when you get there. It’s the one moment the game utterly and completely fails to play to its strengths. Rather than demanding that players search for the solution, it is painfully clear, and rather than letting players move through at their own vaguely controlled pace it demands that you navigate a system of obstacles rapidly and with precision, even as the controls place you out of position. This one section was the only time I became truly frustrated with the game, which is, on a whole, almost without unpleasant stages. Little Nightmares asks a lot from its players. It asks that they engage with a cartoonish art style, a horrifying spectacle, and a platformer that doubles as horror survival. For the gamers that accept this genre bending work, a truly rewarding experience awaits. Though not a single word of dialogue is spoken throughout the story, atmosphere, presentation and motion imbue the world with meaning. The game’s puzzles are fascinating to unravel, and the ending is one of the most cathartic, wondrous conclusions that I have ever played. A beautiful artistic style and well-rendered world make exploring The Maw a joy. Puzzles are challenging mind games that reward insight, and the conclusion of the game is breathtaking. Awkward controls make some sections of the game frustrating. This can lead to numerous deaths, and a great deal of time spent in the game’s insanely long loading screens. Little Nightmares is a fascinating and wondrous little game that manages to tell a story without using words, reach the uncanny with a cartoonish style, and make a platformer into a horror experience. It’s fun, imaginative, and at times terrifying. It was well worth every moment spent playing. Its flaws are rare, but make brief sections of the game tedious and frustrating. Overall, Little Nightmares is an extraordinary game.